Who doesn’t love having fun while studying? Now’s the time for Chinese language learners to throw away the textbook for a while and join us in this fun journey! Watching Chinese TV shows properly will not only help you examine the native culture and society in an interesting context, but also help you unconsciously remember more vocabularies and phrases with less effort than if you were plainly trying to memorize them. As long as you integrate these tips and follow the instructions introduced in this article, you’ll definitely find your way out along with these great Chinese TV shows. 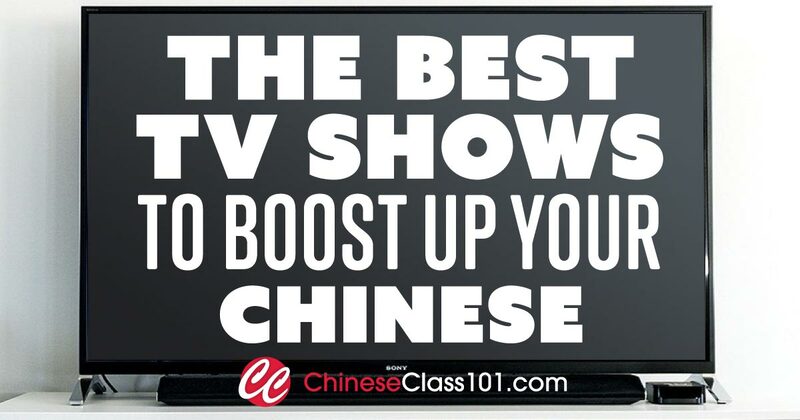 Get ready to improve your Chinese skills dramatically and let us guide you through the most popular Chinese TV shows. If you watch TV shows on a regular daily basis, soon you’ll be able to memorize vocabulary more efficiently by associating them with its context, vivid action, interesting plot, and visual image, which will also help you get a better sense of grammar, accent, and native culture. Unlike academic textbooks, a well-produced TV show brings you to a whole new world and you’ll easily find yourself becoming motivated to keep watching. Eventually, you’ll become immersed in it. Now, the question is, although watching TV shows helps and is more entertaining, can you rely on watching shows by itself? Find the right one: A show that can trigger your interest of studying is the key. First find a good TV show that matches your particular interests. Furthermore, if you wish to practice your Chinese by immersing yourself in the Chinese environment, a show with only Chinese subtitles will be the best fit depending on your level. Stay observant and take notes: When your main purpose is to study the language, don’t pay too much attention to the show itself. You don’t want to forget your “learner” identity. You’ll need to constantly observe by watching, reading, and listening to see if there’s anything you don’t understand that’s worth looking up. Stay like a hungry wolf who’s desperate for its food. Always stay alert when something you don’t understand pops up. When it happens, don’t be lazy! Pause it, and take time to take some notes. This will probably be a bit time-consuming, but it’s worth the effort. For instance, a forty-minute show may take you an hour to watch in this way. Just remember that it means you’re absorbing and learning! Due to the restriction for copyright, many shows on Chinese websites only allow users who are located in Mainland China to watch. Fortunately, although you don’t live in Mainland China, you’ll still be able to find the most popular Chinese shows with the most recent updates on Youtube and some other channels. YouTube: This is the best channel for people who aren’t located in Mainland China to find the most recent updates without any charge. You can usually find them with both Chinese and English subtitles. Netflix: This includes a variety of classic Chinese shows, though you’ll need a subscription. 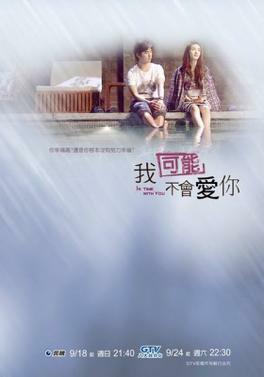 ViKi: This streams free online and provides many recently popular Chinese shows with both Chinese and English subtitles. AsianCrush: This is where you can enjoy all kinds of Asian shows. For people who live in Mainland China, here are five Chinese websites that are exclusive to those who are located in Mainland China. If you’re not fluent in Chinese, no worries; just use Google to translate everything. Here’s our list of popular Chinese TV shows and other recent shows. 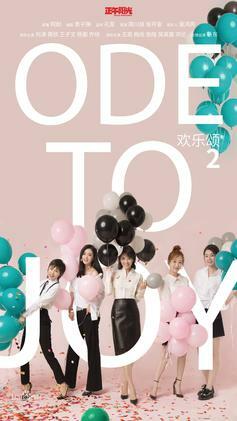 A lot of these are drama Chinese TV shows, so watching these is a great way to catch up on the latest Chinese dramas. That said, here’s our Chinese TV shows to watch online. 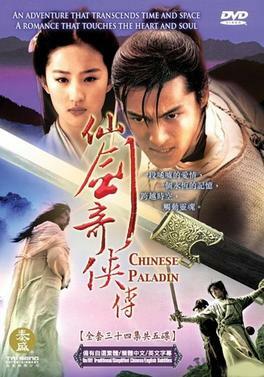 Chinese Paladin, based on the popular role-playing game The Legend of Sword and Fairy, was released in 2005 and introduces Chinese Xianxia (仙侠) culture, which often involves appearances of gods, immortals, people, demons, and ghosts. There will also be various magic weapons and fairy instruments utilized by the characters. There are also lots of romantic phrases waiting for you to learn since a great deal of love stories are involved in this series! Pinyin: Xiàng ài, bù rú xiàng zhī. In English: Falling in love is not as powerful as understanding each other in depth. Pinyin: Tā tōu zǒu le wǒ de xīn, què shì wéi le tā ài de rén. In English: She stole my heart, and yet it is only for the one she loves. 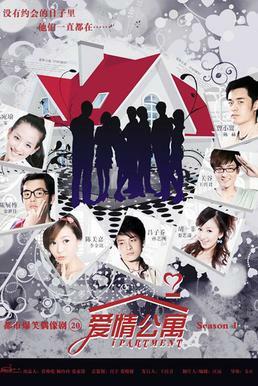 A sitcom produced from Mainland China, the i in the English title is a reference to ài (爱), the Chinese term for “love.” This series talks about a group of friends who live in the same apartment and their hilarious, entertaining, and heartwarming daily life, which will teach you a lot about romance and friendship. If you ever feel that your life is difficult and needs a little bit of laughter to lighten it up, watch this show! Pinyin: Bié yǐ wéi shì jiè pāo qì le nǐ, qí shí shì jiè yà gēn méi kōng dā lǐ nǐ. In English: Don’t assume the whole world abandoned you, actually this world doesn’t have time to care for you. Pinyin: Měi dāng wǒ zhǎo dào chéng gōng de yào shí, jiù yǒu rén bǎ suǒ gěi huàn le! In English: Every time I find the key to success, there is someone who would change the lock! 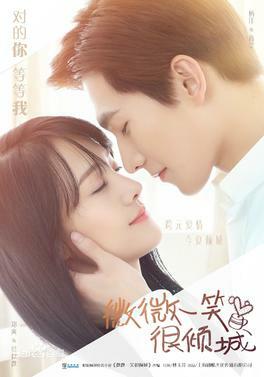 This is a 2016 Chinese web series based on the novel The Best of Us that shows you how memorable and unforgettable Chinese high school love can be. It’s much different from western culture due to Chinese education system and traditions. Remember to prepare tissues for the ending! Pinyin: Shì jiè shàng wéi yī bú biàn de jiù shì biàn huà, shì jiè shàng wéi yī kě néng de jiù shì bù kě néng. In English: The only invariable is to constantly change in the world, and the only possibility is impossibility. Pinyin: Dāng shí de tā shì zuì hǎo de tā, hòu lái de wǒ shì zuì hǎo de wǒ. kě shì zuì hǎo de wǒ men zhī jiān, gé le yī zhěng gè qīng chūn. In English: He was the best of him at the time, I became the best of me later. But between the best form of us, there was a whole youth that crossed by. This story revolves around five women living in an apartment, sharing their daily struggles and experiences as independent modern individuals in an urban city, Shanghai. As those women grow a mutual bond together through laughter and tears, you’ll certainly obtain some worthy lessons of a lifetime. Pinyin: Yī gè rén bù lǐ nǐ, yǒu kě néng shì duì fāng de wèn tí. Dàn shì rú guǒ dà jiā dōu bù lǐ nǐ, jiù yào cóng zì shēn zhǎo wèn tí le. In English: If someone doesn’t want to talk to you, it might be his problem. But if no one wants to talk to you, then you need to find the problem from yourself. Pinyin: Chú le zì jǐ, shuí dōu bù néng hé nǐ guò yī bèi zǐ. In English: Except for yourself, there is no one who can spend a whole life with you forever. 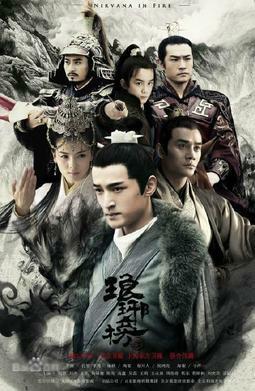 Nirvana in Fire is a 2015 Chinese historical drama based on Hai Yan’s novel, which introduces a spectacular drama in ancient times that entails numerous complex imperial conflictions. If you’re curious about how the culture in ancient China was, this will be one of the best Chinese shows for learning Chinese you’ll never regret watching! Pinyin: Suī rán zhè shì jiān shǎo yǒu gōng píng, dàn shì wǒ xī wàng nǐ kě yǐ yǒng yuǎn bǎo chí zhè fèn chì zǐ zhī xīn. In English: Although it is hard to be fair in this world, at least I hope you will keep your original pure heart. Pinyin: Rén zhī huì bèi péng yǒu bèi pàn, dí rén shì yǒng yuǎn dōu méi yǒu ‘chū mài ’hé ‘bèi pàn ’de jī huì de. In English: Only friends can betray humans, your enemy can never have the chance to betray. This show is a 2011 Taiwanese television series that talks about a lifelong romantic relationship that is originated from friendship. As the main characters grow together and realize their romantic feelings towards each other, you can’t help tearing up. This is a heartfelt story that not only teaches you about love but also how to live life. Pinyin: Ràng nǚ rén fā guāng de bù yī dìng yào shì áng guì de zuàn shí, hái yǒu wéi ài liú guò lèi de yǎn jīng. In English: What makes women shine is not only expensive diamonds, as well as the eyes that you only teared up for love. Pinyin: Rú guǒ wǒ bù céng yōng yǒu, nà yě jiù méi yǒu shén me hǎo shī qù de le. In English: If I have never owned it, then there is nothing to lose for me. Taking Place in the Ming Dynasty, The Vigilantes in Masks is a Chinese TV show that’ll teach you not only the language, but important Chinese cultural information. Released in 2010, it covers fun and adventurous stories with a Robin Hood vibe. Through the lens of Chinese history, you’ll see many fantastic Kung Fu moves and ancient Chinese culture in the old society. Pinyin: Jué wàng jiù shì zài nǐ shī wàng de shí hòu gěi nǐ xī wàng, zài nǐ mǎn huái xī wàng de shí hòu ràng nǐ chè dǐ shī wàng. In English: Being hopeless is to give you hope when you are disappointed, and then to make you disappointed again when you are full of hope. Pinyin: Nǐ zuò shén me wǒ dōu zhī chí nǐ. In English: I will support you no matter what you do. This show talks about a couple who originally knew each other from a video game and happen to go to the same college. As they overcome numerous obstacles after falling in love through online gaming, they finally are able to enjoy their life together. Pinyin: Rú guǒ wǒ zhī dào yǒu yī tiān huì zhè me ài nǐ, wǒ yī dìng duì nǐ yī jiàn zhōng qíng. In English: If only I know someday I will love you this much, I promise to fall in love with you at very first sight. Pinyin: Yuán lái shì jiè shàng zhēn yǒu zhè yàng de shì, zhī yào yī shùn jiān, duì yī gè rén de xǐ huān jiù néng dào dá dǐng diǎn. In English: Such thing like this truly exists, it requires only one moment for you to like someone to the maximum. 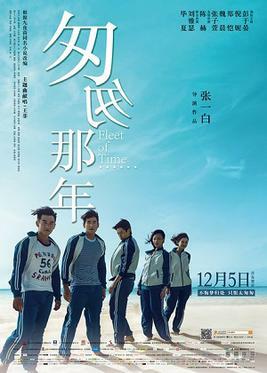 This is a Chinese coming-of-age TV show that provides a glimpse of Chinese high school life along with many struggles between friends, classmates, teachers, and parents. You’ll learn many fashionable phrases that teenagers like to use. Pinyin: Zài jiàn, bú shì yī jù dào bié, ér shì yī gè chéng nuò. In English: “Good bye” is not for departure, instead it is a promise. Pinyin: Bì yè nà tiān, nǐ xiàng wǎng cháng yī yàng gēn wǒ dào bié. Duō nián yǐ hòu, wǒ cái míng bái: nà tiān yǔ wǒ dào bié de, shì qīng chūn. In English: You said goodbye as usual on our graduation day. I only started to understand it many years after: it was youth who said goodbye to me. 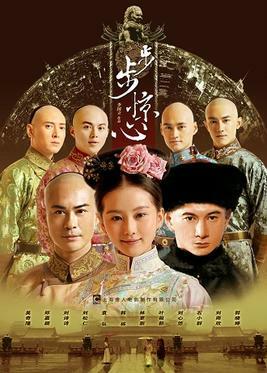 This is a 2011 Chinese television series based on a bittersweet love story of a woman who transported to Qing dynasty and had an unforgettable experience while she gets involved with people in the empire. Pinyin: Wǒ yǐ hòu yào nǐ měi tiān dōu rú cǐ xiào. In English: I want you to smile like this every single day. Pinyin: Nǐ bù lái wǒ de shì jiè zhǎo wǒ, nà wǒ jiù qù nǐ de shì jiè zhǎo nǐ. In English: If you won’t come to my world to find me, then I will go after you in your world. Of course, In order to learn Chinese more efficiently from TV shows, a number of fundamental vocabularies and basic grammar knowledge can be helpful. We provide professional and entertaining lessons and articles here at ChineseClass101.com. You’ll find the most effective materials to guide you through everything you need to know to become a great Chinese speaker. So what are you waiting for? One click is all it takes to see for yourself! China is a large country with a great variety of demands for its market, and due to the rapidly growing internationality and the increasing economy, the appearance of foreign workers in China is more and more common. It’s not as difficult as you thought to set sail for your career in China. The international job opportunities in China are larger than you can imagine. Working in China can bring a series of advantages to you considering its skyrocketing economy and the income for inflation getting higher and higher in most international companies. Therefore, foreigners with international experience are able to find a range of foreigners-friendly jobs in China, with an advantage. Now, if you’re planning to find a job in China and establish your own footing in the society, this article is definitely the treasure you’re looking for! Generally, most foreigners in China find jobs teaching their first language to begin with. There’s a huge advantage for native English speakers since many Chinese parents wish their children to have perfect English. Therefore, jobs in China for English speakers are in high demand. If you’re planning to start your career in China as a foreigner, one of the priorities for you to take care of is the work visa for you to work in China. There are pretty specific visa requirements for foreigners to work in China, so we’ll just give you some of the basics. Remember to go to a local embassy or a visa service center to get your application done. Of course, there’s a good selection of different visa types; the best one for you depends on how long you’ll be staying in China. Usually, the best type for a foreigner working in China is a Z-type visa. According to your personal situation, the type of visa you need may vary. For example, if you’re extremely expert in your profession, you’ll be able to apply for an R-type visa. Which cities are the best fit for foreigners looking to find jobs in China? Check out the top four cities below. As the very capital of China, Beijing has certainly been a positive influence in the growing economy in China. When it comes to working and living in China, Beijing isn’t likely to let you down. Shanghai is the center of finance and developed businesses in China. Recently, the first Disneyland in the Chinese mainland opened in Shanghai in 2016. With a strong cultural background, Guangzhou’s retail sales, household deposits total both takes the first three place in China, and its human development index takes the first position in China so far. It is also known as a popular place for immigrants. As one of the first cities to go through a revolution in China, Shenzhen has remained friendly and open to other cultures ever since, and its GDP is outstanding. These four cities should be your absolute first options to go to when you decide to work in China as a foreigner. As four of the most prosperous cities in China, they are also more populous and therefore have a more competitive job market. Fortunately, as a foreigner, your identity may provide you a shortcut in those internationally developed countries that other native Chinese citizens won’t have access to. Once you’re all settled in China, you might want to download the application and register for a WeChat account immediately. It’s one of the most essential medias for Chinese people and the most common way to communicate via social media, being a significant Chinese job search website. You can even take the posts from your WeChat to use as your “second business card.” If later you’re in contact with people who are related to your work, it’s necessary to post carefully because many individuals think the content of your posts represent who you are. There’s a word—guanxi—in Chinese, or 关系. Its literal meaning is “relationship,” and further, it talks about your personal connection and class within the business social circle. Nowadays, it’s commonplace to get a job through guanxi for many Chinese citizens; they’re skilled at utilizing the sources they have. Thus, WeChat can be a great tool for you to get updated information on jobs if you’ve already established some guanxi of your own. This will open doors for you to see posts regarding job opportunities. LinkedIn, as an internationally popular service for employment, now has a partnership with WeChat. You can easily link your LinkedIn to WeChat, making it convenient for other people to review both your professional profile and social media profile. Again, once that’s done, you’ll be responsible for establishing a proper public figure through your posts on WeChat. Job Lead China is an excellent recruitment service provider and works as a bridge to build a connection between foreigners and the Chinese employment system. All the enterprises there are verified, and the platform provides a series of thorough services including analyzing the needs of the company, conducting profession search and background investigation, performing customer interviews, identifying candidates, and providing follow-up service after the trial stage. This is one of the most popular Chinese job hunting sites for good reason! JobsiteChina is another platform that focuses on international employment. It provides a wide-range of expert services for job opportunities in China for foreigners, such as a Headhunter service, advertisement, CV downloading, and so on. There, you’ll also find some detailed guides for the procedures related to having a job in China. 51Job is one of the largest platforms for local online lists of jobs in China. The application process is simple and easy; you can just post your resume and search for jobs for free. But keep in mind that this isn’t recommended for foreigners who cannot speak Chinese fluently, since everything is navigated in Chinese. Remember, there are many agents who can be a great help for you to start a job, but sometimes it’s not necessary to go through them. Thus, it’s important to learn to recognize the agents apart from the direct enterprises. 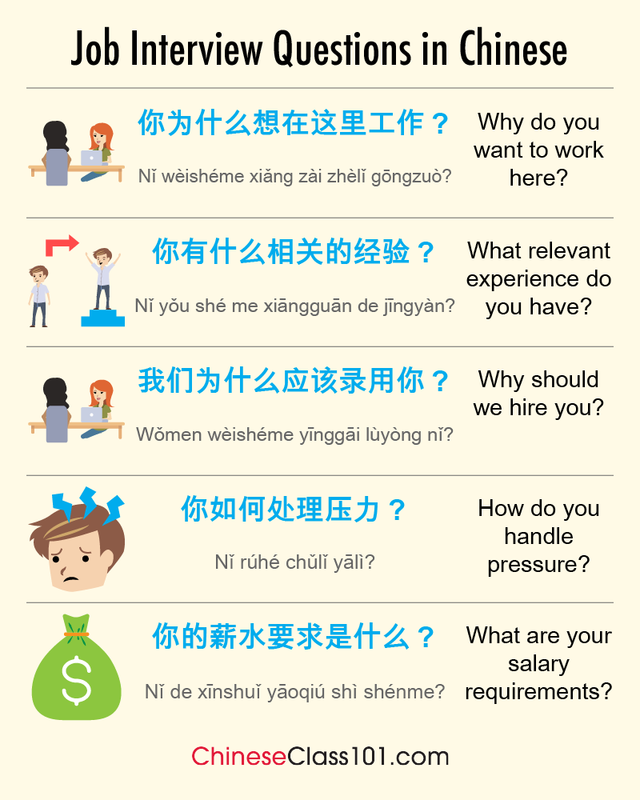 Here’s a list of some of the most important phrases to know when it comes time for that big interview or other business occasion, including the most common interview questions in China. In English: Can we please exchange the business cards? Pinyin: Gǎn xiè nín néng gěi wǒ zhè cì cān jiā miàn shì de jī huì. In English: Thank you for giving me the opportunity to go to this interview. In English: Can I know when I will get the notice? Pinyin: Zhēn duì wǒ men gōng sī, nín hái yǒu shén me xiǎng wèn de ma? In English: Is there any other question you have for our company? Pinyin: Qǐng gěi wǒ men jiǎn dān jiè shào yī xià nǐ zì jǐ. In English: Please briefly introduce yourself for us. Pinyin: Néng gěi wǒ men jiǎn dān jiè shào yī xià nǐ zhī qián de gōng zuò jīng lì ma? In English: Can you please briefly introduce your working experience before? 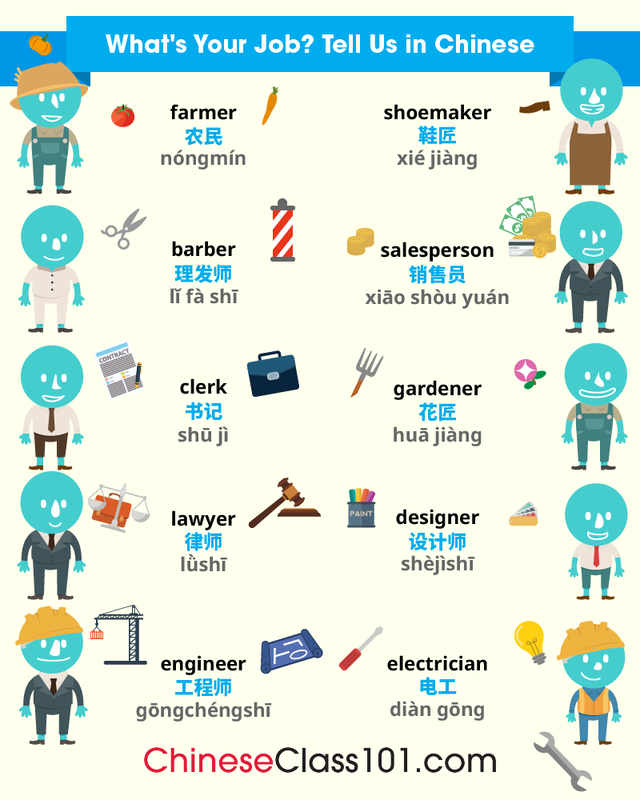 Pinyin: Néng gěi wǒ men jiǎn dān jiè shào yī xià nǐ de gè rén yōu shì ma? In English: Can you please tell us about your personal strength? Job fairs are held in populous areas, and you’ll have to pay attention to the advertisement for the off-site job fairs both online and offline. Your network may just be your main source of information about these job fairs, so don’t forget to utilize some of the Chinese job searching sites above and continue to build strong connections! There are two main websites that update the job fairs for many cities in China. You can find more information about them by clicking the city you are interested in. Traditionally, Chinese people attach great importance to the trait of being humble. Though during an interview or a business occasion, or in your resume, you’ll have to paint yourself in a presentable and confident image, you should remember not to overdo it so much that people form a bad impression of you as being arrogant. This is certainly one of the most important things to know when it comes to finding a job in China. You may want to include a good portrait of yourself in your resume, as a nice appearance can instantly leave a positive impression. Make sure you choose a recent photo, which showcases the professional image of yourself. Small details can make a huge difference when landing a job in China. Don’t forget to shake hands when you meet your interviewers as well as when you leave. It shows a great deal of respect for the people who you offer to shake hands with. Remember to offer your hands gently to your interviewers or potential business partners when you have a chance. The overall visual effect is important for a resume in China as well, despite the content. Keep your resume neat and well-organized to leave a good first impression for the viewers. Rather than your own evaluation of yourself, Chinese resume evaluators prefer to focus on your personal accomplishments. Personal evaluation can be biased; they would like to recognize your true strengths by the things you’ve accomplished previously. Though it’s possible to find a job in China as a foreigner without speaking good Chinese, the skill of speaking Chinese will give you a much greater advantage when it comes to securing a decent career and helping you communicate to your co-workers more smoothly to establish a harmonious working environment. ChineseClass101.com, provides a set of systematic and useful resources for studying Chinese. For example, there are professional teachers who can help you improve your Chinese language skills in order to find a job and further prepare for the interview. Don’t hesitate to take hold of this great advantage and learn more about how to find a job in China! Do you often feel lonely and sad? Do you long for romance and are willing to do whatever it takes to meet that special person? Speaking another language could revolutionize your love life! So, why wait? Learning how to say ‘love’ in Chinese could be just what you need to find it. Or perhaps you were lucky, and have found your Chinese partner already. Fantastic! Yet, a cross-cultural relationship comes with unique challenges. Learning how to speak your lover’s language will greatly improve your communication and enhance the relationship. At ChineseClass101, our team will teach you all the words, quotes and phrases you need to woo your Chinese lover with excellence! Our tutors provide personal assistance, with plenty of extra material available to make Chinese dating easy for you. Will Falling in Love Help You Learn Chinese Faster? So, you have met your Chinese love interest. Congratulations! Who knows where this could take you…?! However, the two of you have just met and you’re not ready to say the Chinese word for love just yet. Great, it is better to get to know him/her first. 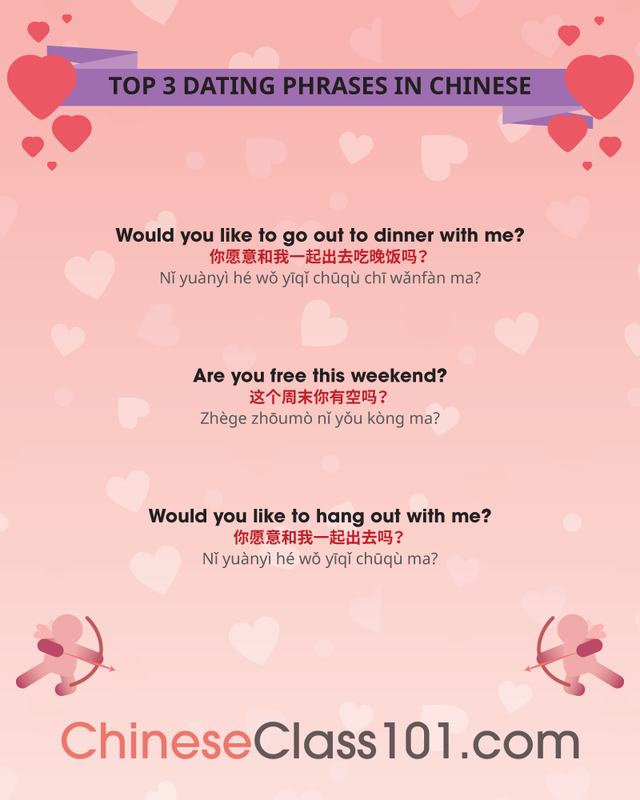 Wow your prospective love by using these Chinese date phrases to set up a spectacular first date. Nǐ yuànyì hé wǒ yīqǐ chūqù chī wǎnfàn ma? The important question! In most cultures, this phrase indicates: ‘I’m romantically interested in you’. Flirting in Chinese is no different, so don’t take your date to Mcdonald’s! Zhège zhōumò nǐ yǒu kòng ma? Nǐ yuànyì hé wǒ yīqǐ chūqù ma? Wǒmen míngtiān shénme shíhou jiànmiàn? Nǐ kàn shàngqù hěn bàng. Nǐ juéde zhège dìfāng zěnme yàng? This another good conversation starter. Show off your Chinese language skills! Wǒ kěyǐ zài jiàndào nǐ ma? Wǒmen qù biédì dìfāng hǎoma? Wǒ zhīdào yīgè hǎo dìfāng. Wǒ huì kāichē sòng nǐ huí jiā. Nà shì yīgè hěn bàng de yèwǎn. Wǒ shénme shíhou néng zàijiàn dào nǐ? Wǒ huì gěi nǐ dǎ diànhuà. You learned all the Chinese phrases to make a date - congratulations! Now you have to decide where to meet, which can be tricky. Discuss these options with your lover to gauge whether you like the same things. 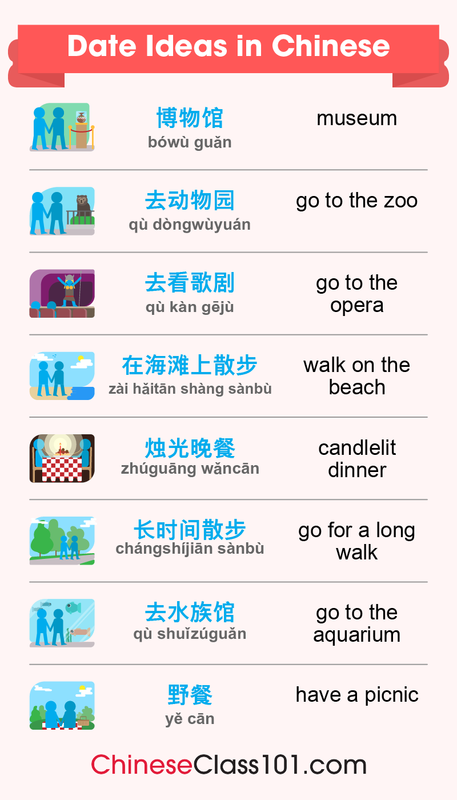 Check out romantic date ideas in Chinese below! Expressing your feelings honestly is very important in any relationship all year round. Yet, on Valentine’s Day you really want to shine. Impress your lover this Valentine’s with your excellent vocabulary, and make his/her day! We teach you, in fun, effective ways, the meanings of the words and how to pronounce them. 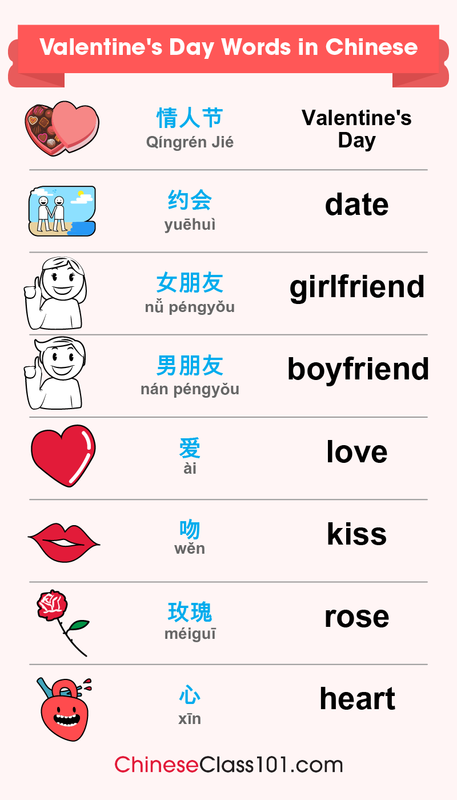 You can also copy the characters and learn how to write ‘I love you’ in Chinese - think how impressed your date will be! So, you now have the basic Valentine’s Day vocabulary under your belt. Well done! But, do you know how to say ‘I love you’ in Chinese yet? Or perhaps you are still only friends. 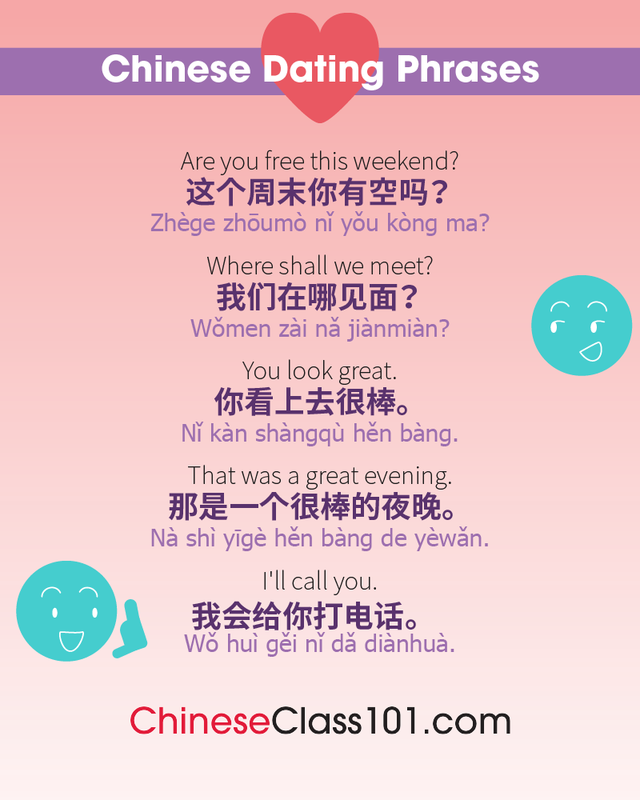 So, do you know how to say ‘I like you’ or ‘I have a crush on you’ in Chinese? No? 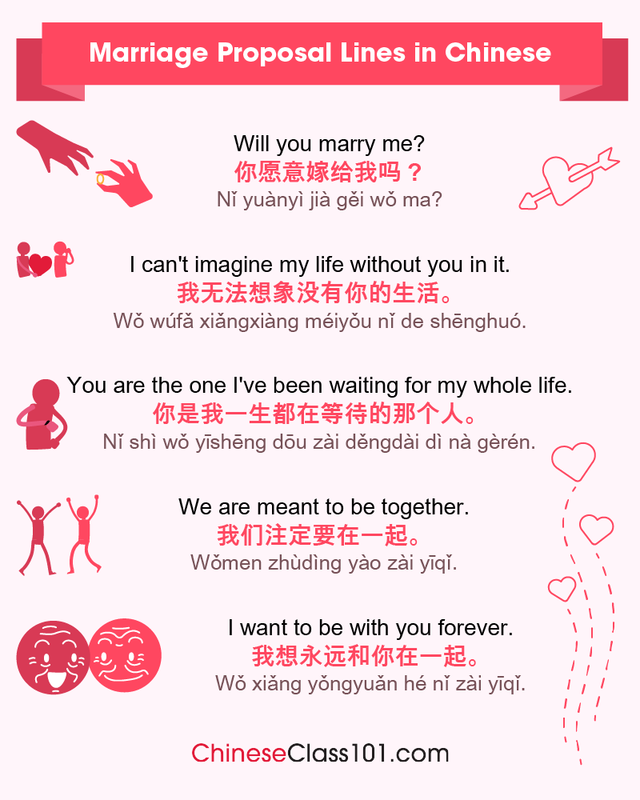 Don’t worry, here are all the love phrases you need to bowl over your Chinese love on this special day! Saying ‘I love you’ in Chinese carries the same weight as in all languages. Use this only if you’re sure and sincere about your feelings for your partner/friend. If you don’t know how to say ‘You’re pretty’ in Chinese, this is a good substitute, gentlemen! Ladies, this phrase lets your Chinese love know how much you appreciate his looks! Don’t be shy to use it; men like compliments too. Nǐ ràng wǒ xiǎng biàn de gènghǎo . Gentlemen, don’t claim this phrase as your own! It hails from the movie ‘As Good as it Gets’, but it is sure to make your Chinese girlfriend feel very special. Let her know that she inspires you! Ràng suǒyǒu nǐ zuò de shì dōu chōngmǎn ài . Nǐ shì wǒ de yángguāng, wǒ de ài. Wúfǎ yòng yányǔ lái xíngróng wǒ duì nǐ de ài. Wǒmen shì mìngzhōng zhùdìng yào zài yìqǐ . Rúguǒ nǐ dú zhè piān wénzhāng shí xiǎngzhe mǒu gèrén , nǐ yídìng shì liànài le . Nǐ yuànyì yǔ wǒ gòngdù Qíngrénjié ma ? Àiqíng jiù shì àiqíng , chánglǐ wúfǎ jiěshì . Nǐ duì wǒ éryán rúcǐ zhòngyào . Wǒ rènwéi nǐ bù jǐnjǐn zhǐ shì yí gè péngyǒu. Say this if you are not yet sure that your romantic feelings are reciprocated. It is also a safe go-to if you’re unsure about the Chinese dating culture. Yìbǎi kē xīn yě bù zúyǐ chéngzài wǒ duì nǐ de ài . You’re a love champ! You and your Chinese lover are getting along fantastically, your dates are awesome, your Valentine’s Day together was spectacular, and you’re very much in love. Good for you! 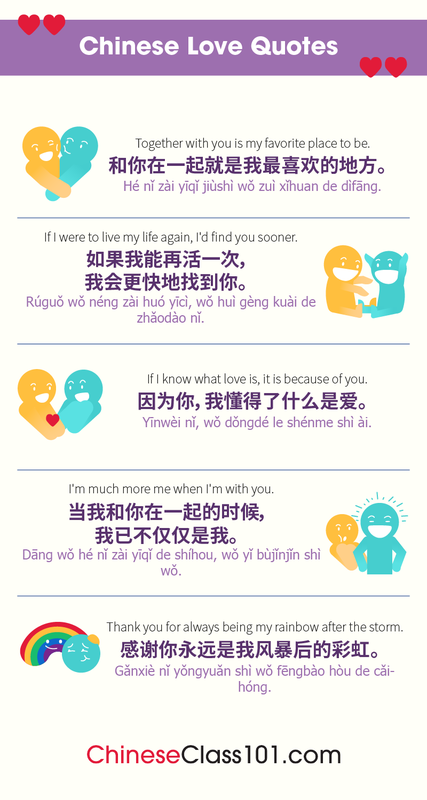 Here are some beautiful phrases of endearment in Chinese that will remind him/her who is in your thoughts all the time. Wow. Your Chinese lover is indeed the love of your life - congratulations! And may only happiness follow the two of you! In most traditions, the man asks the woman to marry; this is also the Chinese custom. Here are a few sincere and romantic lines that will help you to ask your lady-love for her hand in marriage. As long as you mean it, this can be a kind thing to say. It means that there’s nothing wrong with your Chinese lover as a person, but that you need something different from a relationship. If the relationship was very intense, and you have sent many ‘i love u’ texts in Chinese, this would not be a good breakup line. Feelings need to calm down before you can be friends, if ever. If the relationship has not really developed yet, a friendship would be possible. 8. Will Falling in Love help you Learn Chinese faster? Most people will agree that the above statement is a no-brainer - of course it will! Your body will be flooded with feel-good hormones, which are superb motivators for anything. 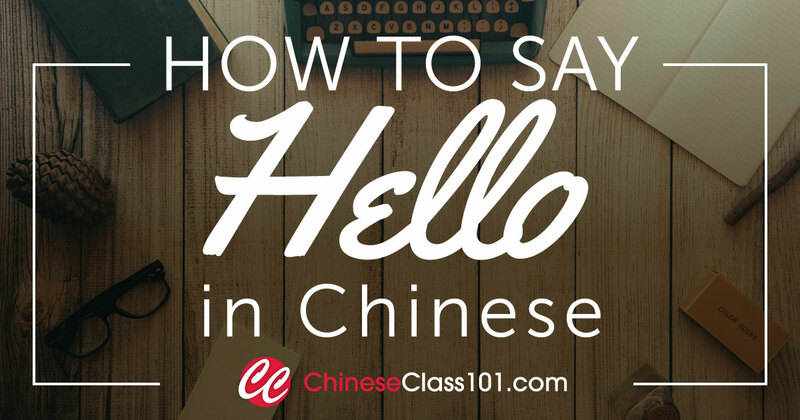 ChineseClass101 is one of the best portals to help help make this a reality, so don’t hesitate to enroll now! 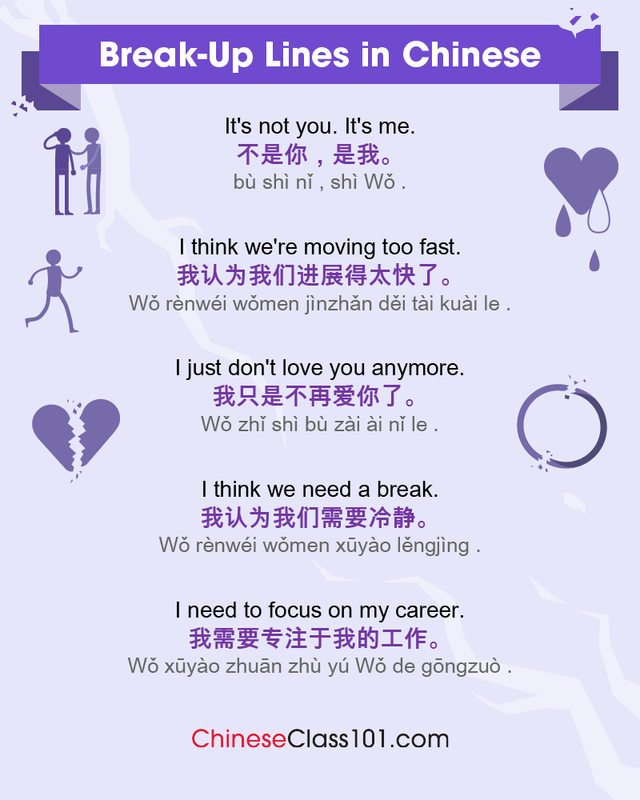 Let’s quickly look at the reasons why falling in love will speed up your learning of the Chinese language. Three Reasons Why Having a Lover will Help you Learn Chinese Faster! ChineseClass101 uses immersive methods and tools to teach you Chinese, but having a relationship with a native speaker will be a very valuable addition to your learning experience! You will gain exposure to their world, realtime and vividly, which will make the language come alive even more for you. The experience is likely to expand your world-view, which should motivate you to learn Chinese even faster. Nothing beats continuous practice when learning a new language. Your partner will probably be very willing to assist you in this, as your enhanced Chinese language skills will enhance the relationship. Communication is, after all, one of the most important pillars of a good partnership. Also, you will get to impress your lover with the knowledge gained through your studies - a win/win situation! 3- A supportive Chinese lover is likely to make a gentle, patient teacher and study aid! 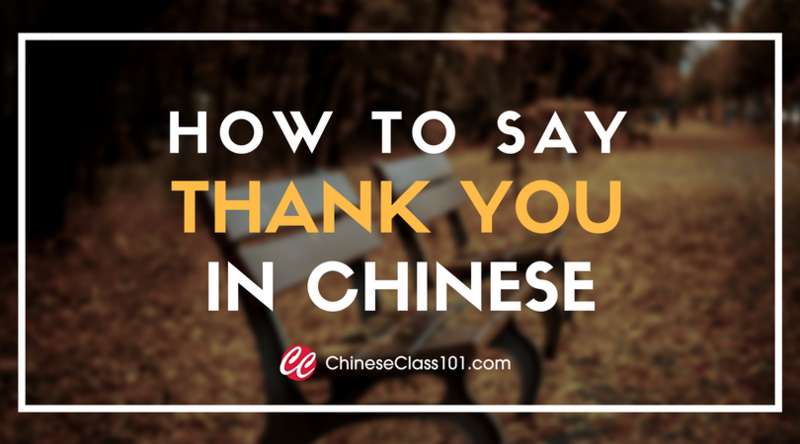 With his/her heart filled with love and goodwill for you, your Chinese partner is likely to patiently and gently correct your mistakes when you speak. This goes not only for grammar, but also for accent and meaning. With his/her help, you could sound like a native in no time! Falling in love with a man or woman speaking Chinese is an opportunity for both of you to learn a new language! For this reason, every lesson, transcript, vocabulary list, and resource at ChineseClass101 is translated into both English and Chinese. So, while your partner can help you learn Chinese faster, you can potentially also help him/her learn and master English! At ChineseClass101, our focus is to help our students learn practical vocabulary and phrases used by everyday people in China. This means that, from your very first lesson, you can apply what you learn immediately! So, when your Chinese partner wants to go out to a restaurant, play Pokemon Go, or attend just about any social function, you have the vocabulary and phrases necessary to have a great time! 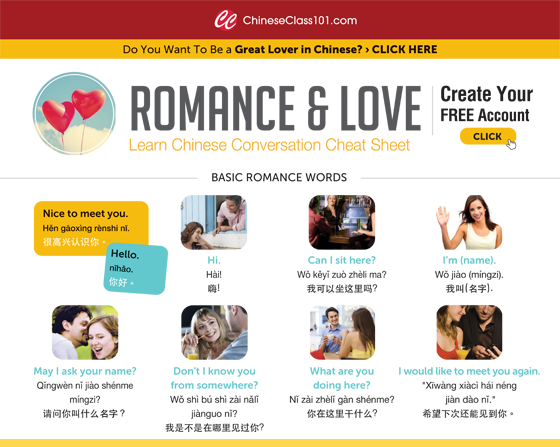 You now have access to ChineseClass101’s specially-developed sections and tools to teach you love words, phrases, and cultural insights to help you find and attract your Chinese soul mate. A personal tutor will assist you to master these brilliantly - remember to invite him/her to your wedding! Today, classrooms are no longer the only or even best place to learn a new language like Chinese. More and more people are finding that they can easily learn a language just about anywhere they have a few minutes of spare time, including their daily commute to work. According to the U.S. Census Bureau, the average American spends over 50 minutes a day commuting to and from work, or over 300 hours a year. But rather than simply sitting in traffic and wasting the time, you can instead use your daily commute to literally learn Chinese in just a few short months! 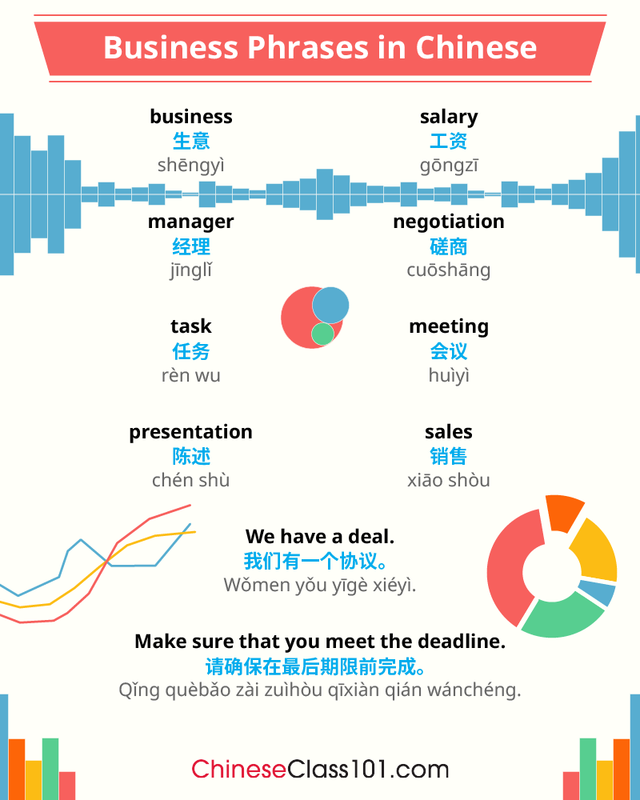 ChineseClass101 has developed specialized learning tools that you can use on your commute to work (and home again) to master the language in your spare time. Keep reading to learn how to get your free audiobook to use on your next commute so you can see for yourself how easy it is to transform “dead time” into realizing your dream of learning a new language! Not sure if it’s practical to learn another language while commuting to and from work each day? Well not only is it possible—learning in your car on the way to and from work each day can actually help you learn and master Chinese or any language much faster! The simple truth is that repetition is absolutely vital to truly internalizing and mastering any language. So, if you listen to audiobooks or even audio lessons on your commute to work and then repeat the same lesson on your commute home, the information is more likely to be “locked-in” to your long-term memory! Every single week, ChineseClass101 creates new audio lessons by native speaking instructors. All lessons are short, to the point, and guaranteed to improve your mastery of Chinese. Simply exposing yourself to new information and vocabulary terms helps increase your fluency and mastery of Chinese. So every single day, ChineseClass101 adds a new Word of the Day for you to learn and memorize during your commute. Have a short commute to work but still want to make progress towards learning and mastering Chinese? Not a problem! Our Daily Dose Mini-Lessons are 1-minute or less and designed to improve your grammar, vocabulary, and pronunciation. You don’t need a PC or tablet to learn Chinese during your daily commute. At ChineseClass101, all of our lessons, tools, and resources are available 24/7 via our Mobile App. That means you can access all of our audio lessons and other tools during your commute to work or any time you have a few spare moments! In addition to the world’s largest online collection of HD audio lessons, ChineseClass101 has also created several audiobooks to enhance your understanding and make it more convenient than ever to learn a language during your commute! The average commute time of most Americans is over 300 hours each year and it’s the perfect opportunity to learn and master a new language. In fact, you can use the “dead time” during your daily commute to learn a new language and potentially boost your lifetime earnings by up to $70,000 or more! 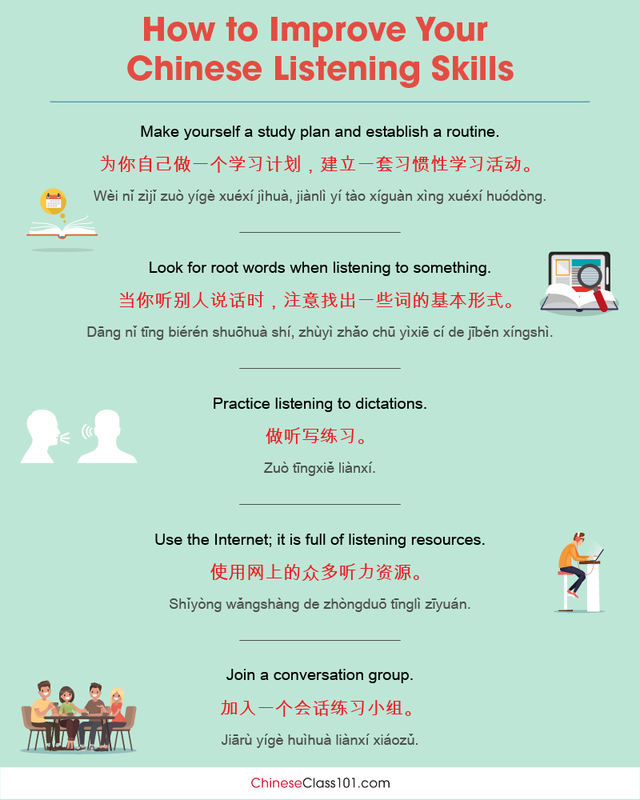 Whatever your motivation, ChineseClass101 has the tools and resources necessary to help you learn a new language each year during your commute to and from work. Act now and we’ll even provide you with a free audiobook to try out on your next commute!